You can register additional participants(eg family members) at a reduced rate. Only one copy of the textbook will be provided. This Introduction to Beekeeping course is designed to provide new beekeepers with both the practical skills and the background knowledge to start beekeeping with confidence. 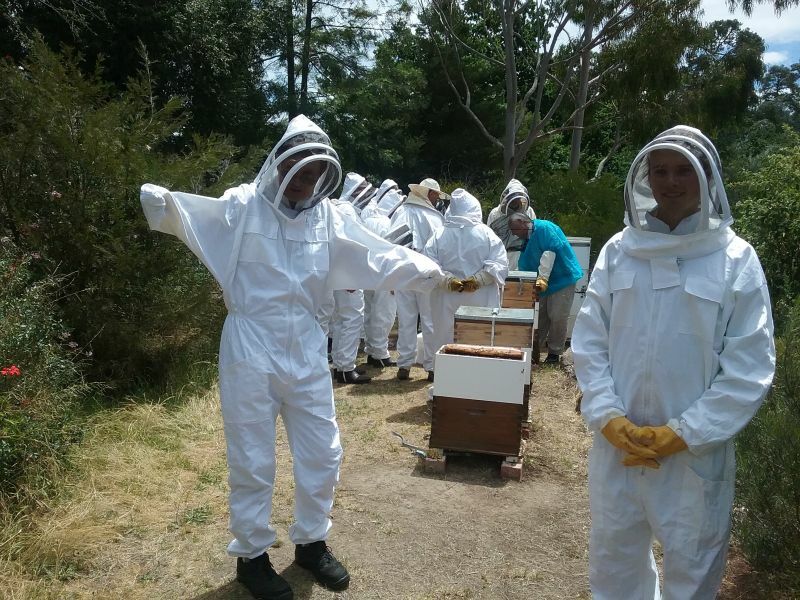 The all day program is highly interactive and includes a live hive opening in the on site club apiary as well as other hands-on skill building exercises. Background instruction incorporates equipment selection and bee biology in addition to details of the Apiary and Biosecurity Codes of Practice. Our highly qualified tutors have experience with both conventional Langstroth hives and the new Flow hives as well as top bar hives. Included in the course fee are a comprehensive handbook and a copy of the textbook The Australian Beekeeping Manual which retails at $50. The hive session is weather dependent and in the event of completely unsuitable weather, we will schedule an alternative date or dates. A certificate of completion will be awarded once the online quiz has been successfully attempted. No previous experience is required and loan protective equipment is available for the hive session. Lunch, tea and coffee will be provided. Note: You can register additional participants (eg family members) at a reduced cost - only one copy of the textbook will be provided. It was an amazing day & I really appreciated the presenters time, thank you. Great course, well run, speakers ran to time, hands on was good, booklet well written & informative & we even got lunch! Great course, thoroughly enjoyed it! Can't wait to do the intermediate one and I hope to start beekeeping very soon!